There are plenty of ways that one can go about to quench his or her thirst. Of course, the most basic option would be to hydrate with water. After all, water (when consumed cold) can be rather refreshing. It is also good for the body. However, there are just times when water alone would not suffice to fulfill someone’s thirst. There are plenty of reasons why this occurs. For one, some people wish to cleanse their palate with a stronger taste such as juice or soda. Meanwhile, some want the added kick of caffeine from coffee or tea. Nevertheless, there are plenty of reasons why individuals prefer drinking other forms of beverages. One of the more popular substitutes for water is soft drinks. These are drinks that are well-loved by everyone of all ages. This comes to no surprise as soft drinks (also known as sodas) taste delicious, and plenty of people are hooked to their addicting taste. In fact, some people even opt to substitute water during meals with soft drinks instead. The Mentality Behind Drinking Soft Drinks: Why Is It Popular? Most of people like to drink soft drinks. Even fast food chains tend to offer soft drinks as meal pairings above any other option. Given the facts, it is safe to assume that people opt for soft drinks because it is accessible. Giant companies like Coke and Pepsi have made sure that people everywhere would be able to see a vending machine almost anywhere they go. The convenience that soft drinks allow making it the best choice for most people, especially ones who are often on the go. Marketing managers from giant beverage retailers also make sure that the unknowing consumer would always have soft drinks on their mind. How do they do this? It is simple. Brands like Pepsi and Coke (again) pioneer many other beverage companies to have vigorous commercial promotions. In fact, well-established companies like the two mentioned above spend more billions of dollars on advertising for the very reason that they already have a good enough product. Instead of paying for research to edit the product, they would rather have consumers to buy more of the already sellable product. Almost everywhere one goes, there is bound to be an ad that entices consumers to drink soft drinks. In relation to the point mentioned above, drinking soft drinks can become a habit due to its convenience. For example, someone who used to casually enjoy drinking soft drinks which he has obtained from the vending machine on the way to work would eventually end up making it a habit to grab a soda every day. The fact is, it is easy for many people to start drinking one bottle or more of soft drinks daily as a force of habit. One would only realize that he or she has finally caved into a habit after feeling incomplete without drinking a bottle of soft drink in a day. Another appealing aspect of soft drinks is the affordability. People are often attracted to carbonated soft drinks because it is sold in a low price point - often much lower than other beverage types like fruit juices and milk. Fast foods also often provide the option to upgrade meals with soft drinks for an unbelievably low price. Lastly, since soft drinks contain caffeine, people tend to become more addicted to it. In turn, when one has established drinking soda daily as part of his/her habit, that becomes rather hard to break. Hence, soft drink addiction can actually be equated to two things - first, an addiction to caffeine and second, the addiction to soda as a resulting habit. For some, soft drinks may seem like a completely complicated entity. However, it is not. A soft drink is basically carbonated water mixed in with a sweetener. The sweetener can vary between natural or artificial flavoring. The type of sweetener used can greatly affect the taste of the drink. The most popular used is plain sugar but other healthier options usually opt for high-fructose corn syrup or fruit juice. The soft drink variant that tends to attract the more health conscious ones through diet soda laced with sugar substitutes like stevia. The name soft drinks are derived from the fact that carbonated soda is considered to be a “soft” drink, unlike alcoholic beverages. Hence, alcohol drinks are also referred to as hard liquor. Looking at the legal food and drink laws, small amounts of alcohol is allowed to be mixed in soft drinks. However, the threshold limit is only 0.5% for such drinks. It is worth noting, however, that carbonated sodas can be alcoholic drinks too. In compliance to the law mentioned earlier, carbonated sodas may contain alcohol but only at 0.5% of the total volume for it to be classified as a non-alcoholic drink. The best way to drink soft drinks is to serve it cold. Whether it is served over ice or chilled from the fridge, soft drinks are much more enjoyable when consumed cold. This can also be affected by different factors such as the container used for the soft drinks. 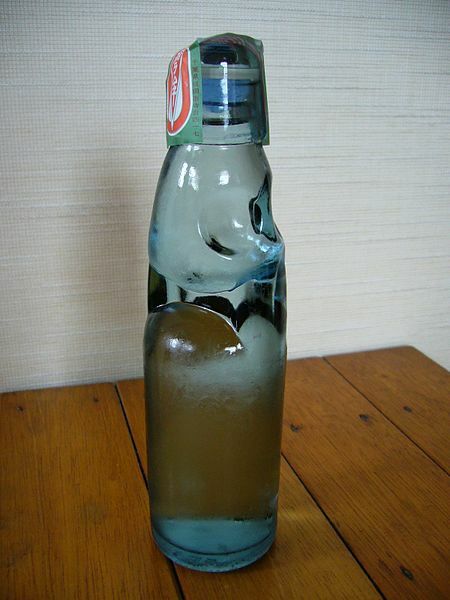 Glass bottles tend to hold insulation better than plastic bottles and cans. The Japanese beverage industry is widely known for the vast range of product offerings in the market. There are so many companies selling soft drinks in different flavors and sizes. The uniqueness of soft drinks available in the market is quite a reflection of the Japanese’ culture. Among non-alcoholic beverages, carbonated drinks take up 19.1% of the market share. The only beverage that was able to beat soft drinks in terms of market share is tea drinks. This is still a successful feat considering that tea has been an essential part of Japanese culture even from centuries ago, while carbonated drinks are newly introduced from the Western market just two centuries ago. There are several soft drinks manufacturers in Japan. Of course, the leading company would no longer come as a surprise - it is Coca-Cola, who happens to be the number one soft drinks brand globally. However, the other top players in the market are all proudly Japanese. These companies are Suntory, Kirin, Ito En and Asahi. The fact that they have so many leading manufacturers of soft drinks who sell in and out of Japan is a testament to how much the Japanese enjoy their soft drinks. Another reason why Japanese soft drink manufacturers are so successful in Japan simply boils down to taste preference. Majority of the Japanese population find carbonated drinks that originate from the West. This does not only apply to soft drinks, but also to other forms of beverages such as juices. In Japan, there are also other interesting types of carbonated drinks or soft drinks. One brand that stands out a lot is Pocari Sweat. Pocari Sweat is Japan’s local counterpart for the is a popular sport drink Gatorade. While Pocari Sweat is almost water-like, there are also carbonated soft drinks that make use of unconventional ingredients. In fact, carbonated sodas hailing from Japan may sometimes use milk, burnt rice and even barley (which is a popular ingredient for making beer). Going back to the example of Pocari Sweat, these types of carbonated drinks have become popular in the whole Southeast Asian region. 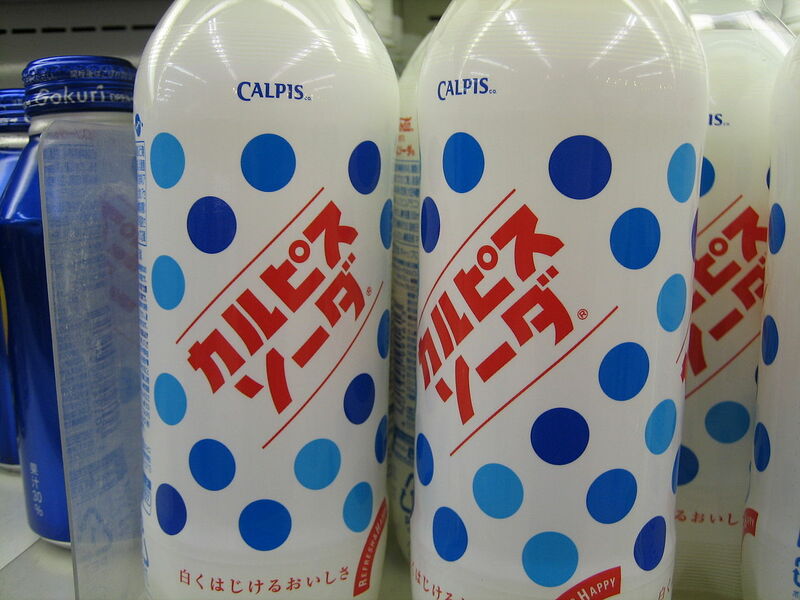 Another drink that is making waves in that market is the popular Calpis (or Calpico as known by the Americans). While the sales of soft drinks have already reached its peak and plateaued, Japanese soft drink makers have seen more opportunity to increase sales by aggressively competing in the Asian market. As mentioned earlier, there is quite a number of beverage companies competing in Japan to top the carbonated drinks market. One solid competitor in this arena is Asahi. The giant beverage manufacturer does not only manufacture world class beer, but they are also responsible for the production of Asahi soft drinks. Asahi soft drinks do not refer to a single soft drink made by the same company (similar to Coca-cola). Instead, the term Asahi soft drinks refer to a massive portfolio of carbonated beverages made by the company. The variety ranges from tea, water, milk, and juices that are carbonated. Another line of soft drinks by Asahi that can be classified into another category are from the Mitsuyada Cider product line. On the other hand, the company Suntory focused more on creating fewer product lines that would stand out. There were rather successful with this since their soft drink brand called Bubble Man is a hit in Japan. Bubble Man is available in a variety of flavors. With Suntory focusing on selling Bubble Man, marketing tactics for this product was quite aggressive. The most notable would be how they infused Manga style in their marketing - making Bubble Man a superhero that kids could look up to. This kind of strategy worked very well in Japan, given their affinity towards anime. Another popular Suntory beverage is C.C. Lemon. This carbonated lemon soft drink is a popular hit in Japan. The C.C. Lemon is very similar to Ramune, which is a popular carbonated drink in Japan of the lime-lemon variety. Similarly, Kirin Lemon is another popular product that is lemon based. The drink is a product of famous beverage manufacturer Kirin, who is also known for their beers. Kirin and CC Lemon are two products that show how popular lemon-flavored carbonated sodas are in Japan. However, other fruity variants are also quite sellable in the Japanese market. This is the reason why brands opt to have other alternate flavors as well. A good example of this is the carbonated drink called Match. Match has a variant in lemon, which is considered to be the cult classic favorite in Japan. However, aside from lemon, Match also offers another flavor called grapefruit which has been positively received as well. Calpis, on the other hand, is a type of fermented soda that has become a favorite drink during hot and humid summer days. Calpis is one of the forerunners of the soda industry in Japan, has been around for almost a century. Cheerio is another known Japanese soft drinks brand. However, it is not as wide knowns as the others mentioned earlier on. Ramune, the hundred-year-old drink is an iconic part of Japanese culture, not just because it is tasty but for the unique codd-neck bottle that it uses. There are also carbonated soft drinks that bank on health aspects to become more sellable in the market. An example of this is the Oronamin C Drink. The name itself implies that the drink is laced with Vitamin C, which makes it “healthier” than other variants. This kind of marketing strategy should not surprise anyone since the beverage is produced by a pharmaceutical company. Otsuka Pharmaceutical Company knew that the Japanese population enjoyed drinking carbonated soft drinks a bit too much, and wanted to market the product as a less guilty option since it was considered to be a health drink.